Scheduled maintenance made easy for Honda owners. The maintenance Minder found in Honda vehicles monitors a number of variables to determine when the time is right for you to bring your Honda in for a Genuine Honda Oil Change. When the remaining service life of your engine oil reaches 15%, you will be alerted on your dashboard by a “service due soon” message. Along with this message, a letter (A or B) indicating the required service type will appear. Depending on the mileage at the time of your required oil change, additional required maintenance items indicated by a numeric sub-symbol (1-6) will also appear. These sub symbols are accumulated between oil change intervals in order to make it convenient for you to properly maintain your Honda. Under most driving conditions, you can expect the “service due soon” message to appear every 8,000 – 12,000 kms, which occurs about every 4-8 months for many drivers. Replace engine oil: Engine oil cleans, lubricates and cools the engine’s moving and stationary parts to protect against wear and friction. Over time, engine oil deteriorates and loses its ability to properly protect the engine. Depending on distance driven and past maintenance items performed, Type A may be accompanied by displayed sub items indicating other maintenance is due. The Type B service includes engine oil and filter change, brake service and comprehensive chassis inspections. Depending on distance driven and past maintenance items performed, it may be accompanied by displayed sub items indicating other maintenance is due. Replace engine oil and filter: In addition to replacing the engine’s oil, the oil filter is also replaced at this interval. The oil filter helps prevent wear and damage by trapping and retaining fine particles that are generated during engine operation. Brake system inspection and service (including ABS): Brake components operate in a harsh environment where they are exposed to extreme temperatures and severe road and weather conditions. All brake components and friction materials are inspected for wear and deterioration, then serviced to remove accumulation of debris and corrosion and to replenish lubricants that deteriorate with time and use. Where necessary, the parking brake is adjusted and the brake fluid reservoir is topped up. Chassis inspections: The suspension, steering, brake hydraulic system, drive line, exhaust system and fuel system are inspected for wear, damage, or irregularities that may require attention. 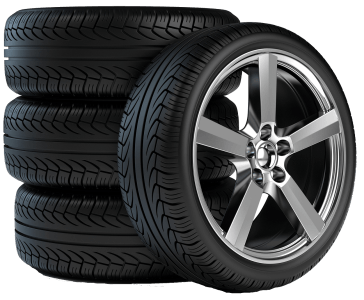 Tire rotation and inspection: The tires are inspected for damage and abnormal wear that may indicate a need for wheel alignment adjustment or suspension repairs. Rotation is done to maintain even distribution of wear and maximize longevity. Pressures are checked and adjusted if needed. Replace air cleaner element: The air cleaner element prevents foreign materials such as dust and debris from entering the engine and causing internal damage and premature wear. A clogged air filter affects engine performance, can increase fuel consumption and contribute to engine oil contamination. Replace dust and pollen filter: This filter removes dust, pollen and debris from outside air that enters the passenger cabin through the heating and air conditioning system. A dirty filter reduces the quality and velocity of air exiting the vents. Inspect and adjust drive belt: Depending on engine model, external engine drive belts may operate the water pump, alternator, power steering pump, or air conditioning compressor. Inspection to identify wear, damage, or deterioration is necessary to avoid unexpected belt failure. Some belts require manual tension measurement and adjustment while others may have an automatic tensioning system. Replace transmission fluid: Transmission fluid cools and lubricates internal transmission components. Its properties diminish over time and distance driven. Replacement is necessary to maintain proper operation and protection against wear. Similarly to transmission fluid, transfer case fluid’s properties diminish over time and distance driven. Replacement is necessary to maintain proper operation and protection against wear. Replace spark plugs: The spark plugs ignite the air/fuel mixture in the combustion chambers. Replacement is necessary to maintain smooth engine power delivery, fuel efficiency and low exhaust emissions. Replace timing belt and inspect water pump (V6 only): The timing belt drives the engine’s camshafts to open and close the intake and exhaust valves at the proper time. It also drives the water pump. The timing belt gradually wears and deteriorates and must be replaced to avoid failure and potentially severe engine damage. The water pump is easily accessed during timing belt replacement and should be inspected and if necessary, replaced. Inspect valve clearance: Valve clearances can change with normal wear and require periodic inspection and adjustment. Improper clearances can affect engine performance and efficiency and may cause abnormal noise. Replace engine coolant: Engine coolant absorbs and transfers heat generated during engine operation, inhibits corrosion, protects against freezing and boiling, and lubricates the water pump. Its properties deteriorate over time, requiring periodic replacement. Replace rear differential fluid: (4WD trucks, S2000) The rear differential transfers and controls power to the rear wheels. Its fluid degrades over time and distance and must be replaced when indicated to prevent wear and damage to internal components. In addition to the maintenance messages shown in the odometer / trip meter display, having these specific services (if applicable) performed at the distance recommended is vital to keeping your Honda in optimum operating condition. Please refer to your Owner’s Manual for details. Every 24,000 km Replace air cleaner element if vehicle is regularly driven in dusty conditions. Every 24,000 km Replace dust and pollen filter if vehicle is regularly driven in urban areas with high concentrations of emissions from industry and diesel-powered vehicles. Every 100,000 km Replace timing belt if vehicle is regularly driven in very low temperatures (under -29º C, 20 º F), or towing a trailer.